Be different, be balanced, be square. 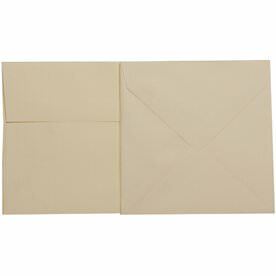 Our square envelopes are as distinct and unique as they get. Instead of the standard rectangular envelope that everyone has seen before, our 5 x 5 square envelopes make for a happy surprise. Everyone loves a balanced look and these envelopes surely apply that feature. Commonly used for invitations, announcements, or cards, becoming square is definitely a good thing. The modern look and versatile use keeps your guests, family, and friends intrigued. 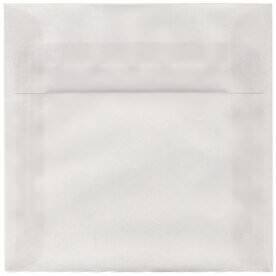 Note: most square envelopes require additional posting. 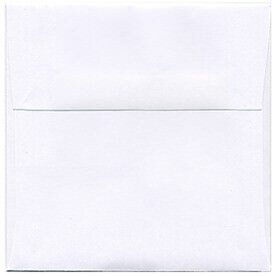 Our square envelopes are grouped by color, making it easy for you to navigate through the list. And as you click through our choices, you'll find a variety of textures. From black linen to clear vellum translucent to smooth white square envelopes, your sophisticated invitation just got classier. Try a v-flap for a sharper look or go more contemporary with our straight flap option. We even carry yellow square envelopes in plastic! These are perfect for fitting all of your CD's. 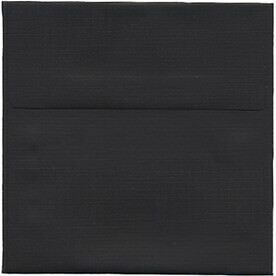 So shop the 5x5 envelope for the perfect square invite!